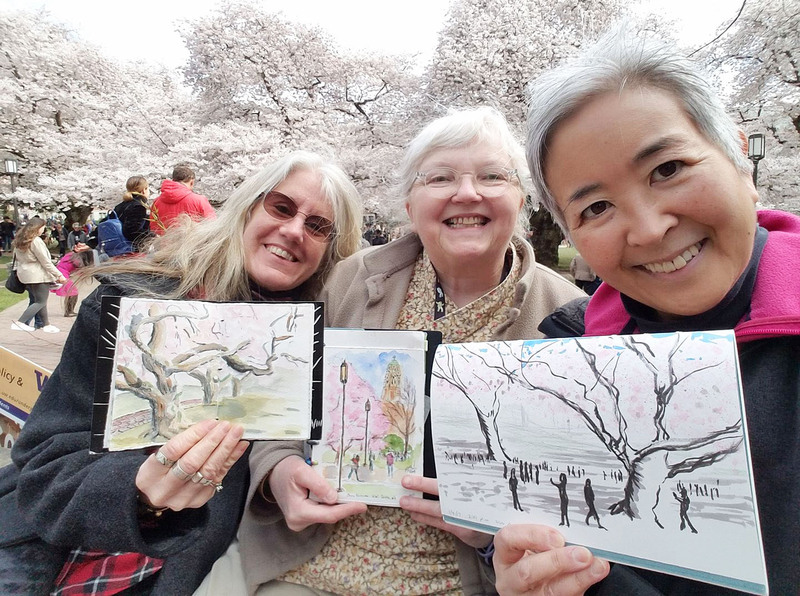 A year ago Urban Sketchers Seattle sketched the blossoming cherry trees at the University of Washington’s Quad three weeks earlier in March. This year’s unusually cold winter pushed the blossoms back, but news reports and the photos in my Facebook feed showed that it was finally time. With today being the only dry day in the foreseeable future, I knew it could be my only opportunity. 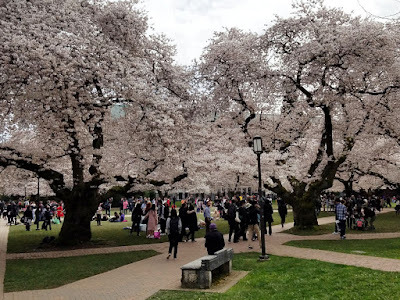 The mild temperature and even some sunshine dodging between clouds brought out hundreds of people to the Quad to see the magical explosion of pale-pink-nearly-white blossoms. 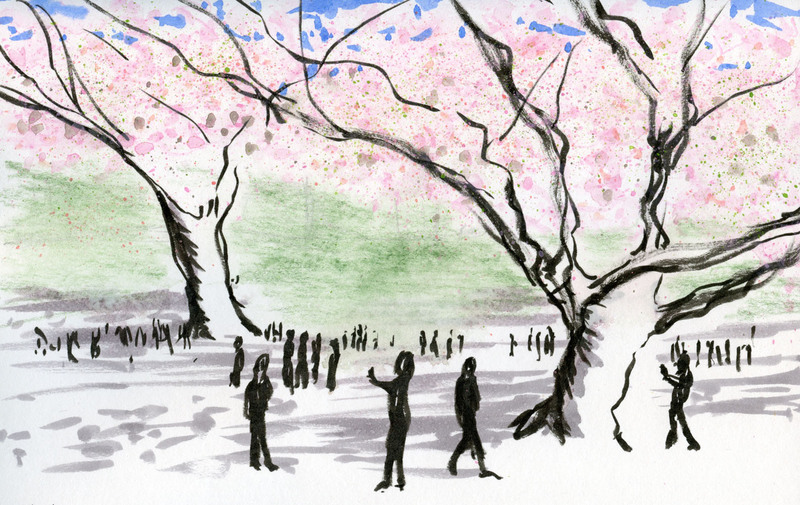 Families picnicked under the trees in true Japanese hanami style while casual strollers paused for selfies. It really felt like a celebration of spring, at long last! And wouldn’t you know it – as I sat on a bench sketching, Kate spotted me! She and Feather had had the same idea about taking advantage of the weather. We made our own selfie, urban sketchers style! Feather, Kate and Tina found themselves at an ad hoc sketch outing! I had the same idea, toured Queen Anne looking for blossoms! Beautiful quad sketch.